1. The Skeletal Axe of Rending - Remove skin from the bone with the Skeletal Axes of Rending. This item is best suited for 5th - 10th level characters. 2. Dark Talons - Tear your foes to shreds with the Dark Talons. This item is best suited for 5th - 10th level characters. The Argul's Tomb add-on pack will become available one month after the Darksiders II launch tomorrow, so sometime in September of 2012. The Argul's Tomb content pack will offer extra gameplay content, including a whole new dungeon to explore, further extending the Darksiders II experience. 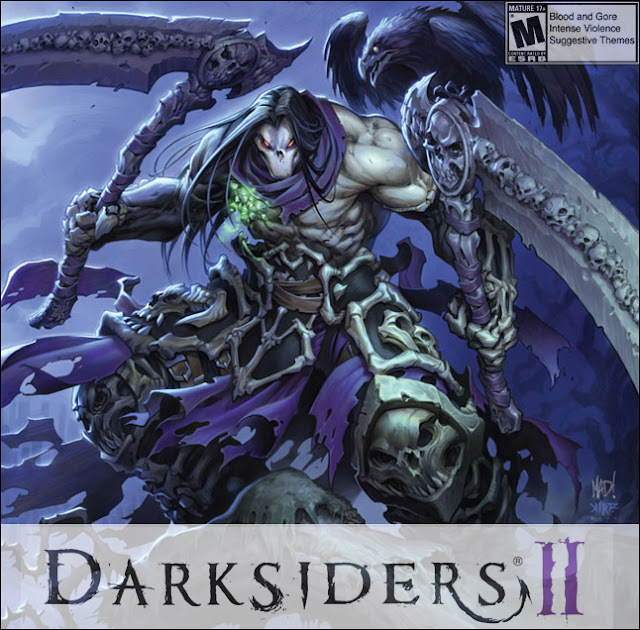 Darksiders II will release on OnLive in the US tomorrow Tuesday, August 14, and in the UK and Belgium on Monday, August 20. So there is not a lot of time left to pre-order the game and get the additional content for free. The game is priced at $49.99 in the US ($34.99 PlayPack), £34.99 in the UK (£24.49 PlayPack) and €49.99 in Belgium (€34.99 PlayPack). You can pre-order Darksiders II for the US, the UK and Belgium powered by OnLive.